The North Dakota Parks and Recreation Department (NDPRD) in association with the State Library held an event on Wednesday, Oct. 16, at 1:30 p.m. at the Bismarck Public Library to announce the expansion of the Library Loan Program, allowing library patrons to “check out” a pass providing entrance to any State Park, effectively waiving the $5 daily pass fee. 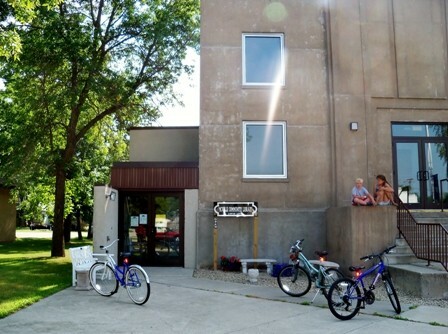 The Library Loan program was first instituted in May of 2011, involving the 11 public libraries belonging to the Central Dakota Library Network (CDLN). The passes were a hit among CDLN patrons and the decision was made to offer it statewide starting this fall. 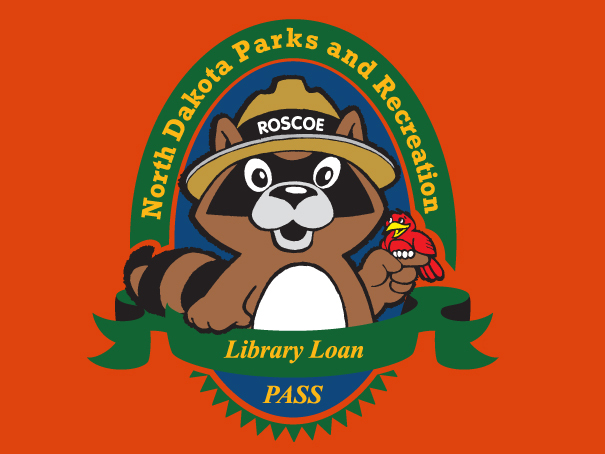 Nearly 90 North Dakota public libraries will have the park pass available for loan. The pass is good for seven days. Any additional charges, such as camping and rentals, are not included in the pass and are the responsibility of the pass holder. In 2012, libraries in the CDLN circulated the passes 137 times and in 2013, through September, the passes have been checked out 215 times. The Bismarck Public Library also checks out fishing poles with tackle boxes and life jackets for kids, which is a great “check-out package” for its outdoor enthusiasts. The expanded program will distribute 252 passes to 87 public libraries in North Dakota. There is a limit of one pass per household and they can only be checked out by cardholders age 18 and older and in good standing with the library. The passes can be renewed after seven days if there is no one on a waiting list to use the pass. To check out a pass a library card must be presented. After seven days passes are to be returned to the library circulation desk from where it was borrowed. Information on North Dakota Parks and Recreation can be found online at www.parkrec.nd.gov. McVille Community Library is delighted to present an Elderspeak program, “Recollections of Area Pioneers” by Willard Olson on Thursday, November 7th at 7:00 PM at the library. Mr. Olson, originally from Pekin, worked as an educator in North Dakota and Minnesota and as a school administrator in Minnesota, serving as principal and superintendent in a number of school districts. He is retired and currently resides in McVille with his wife Vernita. Come and listen as Mr. Olson presents interesting stories from area pioneers that he heard as a boy and young man, There will be time for questions and recollections from the audience, too. Everyone is welcome. Coffee and bars will be served. The McVille Community Library’s Summer Reading Program is here. Registration and Open House will be on Thursday, June 13th 10:00am – 3:00pm and weekly programs will begin on Thursday, June 20th 1:00pm and run through August 1st. Preschool thru 6th grade are welcome. Questions? Call the Library at 322-5541. Louise Erdrich recently won the prestigious National Book Award for her latest novel, “The Round House”, set on a reservation in her native North Dakota. In this novel, Joe, a sheltered 13-year-old, must come to terms with crime, justice and adult sexuality after his mother is brutally raped. She is so traumatized that she will not speak of the incident or name her attacker. Joe’s father, a tribal judge, tries to bring normalcy back to the family as he seeks desperately to solve the crime. His hands are somewhat tied as the attack took place at the intersection of native and state lands – the jurisdiction isn’t clear. Authorities may not be able to bring about justice, even after a clear suspect emerges. This frustrates Joe, so along with his trusted friends Cappy, Zack and Angus, he decides to take matters into his own hands. The characters and setting of “The Round House” are a part of a larger story Erdrich has been telling most of her career. Erdrich is a member of the Turtle Mountain Bank of Chippewa. The old wounds of violated treaties and boarding house education that stripped American Indians of their language and culture resurface in this story. Louise Erdrich has written fourteen novels as well as volumes of poetry, short stories, children’s books and a memoir of early motherhood. She lives in Minnesota and is the owner of Birchbark Books, an independent bookstore. This fascinating and nationally acclaimed book can be check out at the McVille Community Library.